Beautiful flooring that can bring your newly designed room to life! Karndean is a world leader in luxury flooring supplying homes and businesses with a high standard of flooring and a Design inspired look. With many options and styles to choose from Karndean flooring can be a great way design a personal and stylish look to stand out from the crowd. Karndean flooring is also fully waterproof and a fantastic choice for kitchens and bathrooms where spillage is likely. We can supply and fit Karndean flooring with our Karndean trained fitter! we have created beautiful floors across Lanarkshire with Karndean. Its high end beautiful and hard wearing. Karndean have various and different product ranges, the thicker the layer the more durable the flooring. It has also been designed to be slip resistant. Art Select Stone is a natural looking style for Marble, Slate and Limestone. Art Select reflects pattens and texture you may find in real stone. Da Vinci collection has rich warm tones found in stone, weathered steel and fabrics. Michelangelo Stone is a great choice if you looking for something unique such as pebble effect, Mosaic or Metallic for your stunning home. Van Gogh is a popular collection and looks like real wood flooring with the benefits of vinyl. We have a verity of colours from rustic to modern. A Fresh and modern style in a large plank can enhance a rooms and with our large range of tones and surface finishes. A Luxury Vinyl floor tile with realist designs for wood and stone this Looselay floor is quick and easy to install. 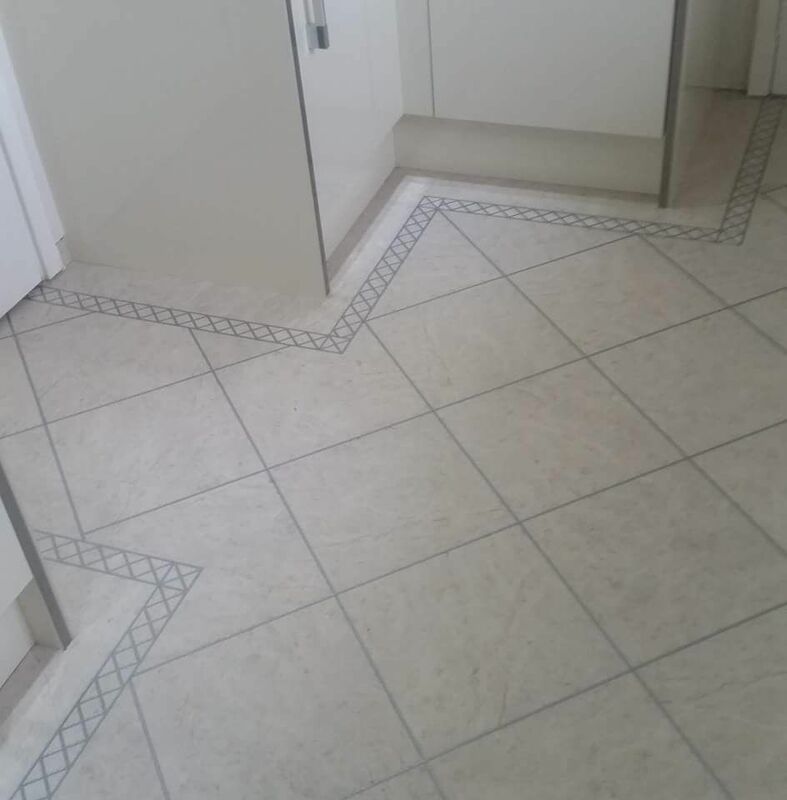 Loosely can fitted over most existing hard floors. 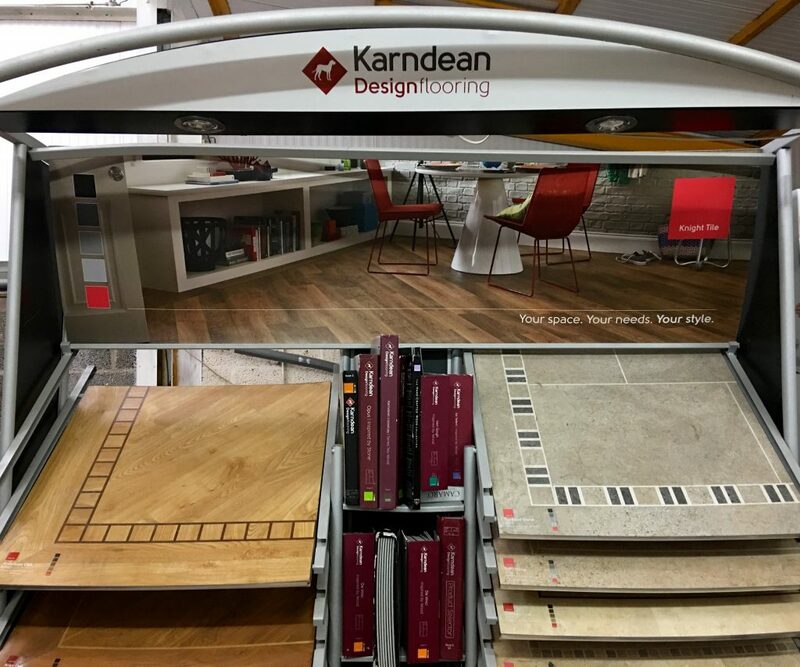 In our Carluke showroom we have a Karndean stand with lots of samples to choose from, or if you prefer we can come to you! 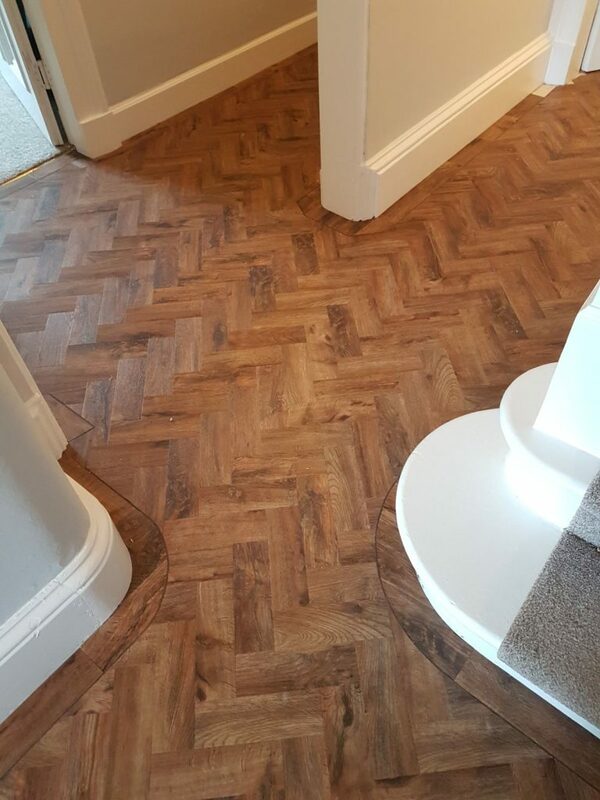 Theres many options when is comes to Karndean and selecting the right colour and style can be easier seeing the samples in your own home environment. Give us a call today t book your free Home Sampling. Here are some examples of our fitting handiwork. Above is a lovely Bathroom and below a hallway. Karndean flooring lanark, Peebles, Carluke, Motherwell.